China again shows it political prowess in selecting the Volvo C30 Electric as its Green Car of the Year. The Volvo C30 Electric is barely a production car, yet it has just won a prestigious award in China. Given that the Nissan Leaf is now into its second year of availability and the Chevy Volt is almost a classic car at this point, how can an electric car that few people have ever seen, and almost nobody has driven be awarded “Green Car of the Year?” The answer is complicated but can be explained. 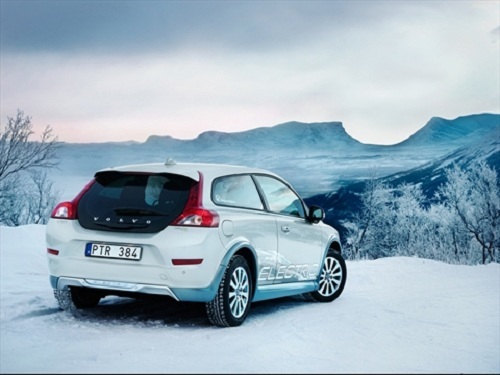 The award the Volvo C30 Electric won was awarded at the fourth annual China New Energy Mobility Summit. As the name implies this is a summit where electric cars and the infrastructure to support them is discussed. Is it a surprise that a Chinese company masquerading as a Swedish make has won? Since China is a communist country and its economy is centrally planned, there is little in the way of private enterprise blazing its own trail in the marketplace. Each company that introduces a new electric product is partnered with (or owned outright by) a Chinese partner. One year ago the Shanghai International Automotive City Group (SIAC), was established. Volvo partnered with the city through this initiative and it is delivering 15 cars for testing and evaluation. If this all sounds familiar, it is. GM is doing the same thing with another Chinese organization called The China Automotive Technology and Research Center (CATARC). For details on that program click here. SIAC has a plan to introduce the electric car in the city. Volvo is supplying cars to the Chinese “general public” for testing and evaluation. Freeman Shen, Senior Vice President of Volvo Car Corporation and Chairman of China Operations had this to say in a press release “The handover and kick-off of public involvement is a milestone for Volvo Car Corporation's new energy vehicle move in China. We are really proud to introduce this great car to ordinary Chinese car users.” Included in the group of ordinary people who will be driving the new Volvo C30 Electric car as part of the program are Gao Yuan and Ms Ji Xueping, well-known TV personalities with Dragon TV. Another person in the group is Ms Charlotta Holm Vestberg, Consular of the Swedish Consulate in Shanghai. As Mr. Shen points out, these are just your run of the mill, ordinary working class Chinese citizens. Like the introduction of the electric car in America, where the cars go largely ignored by the purchasing public, but the President pledges to buy one (later), the electric car in China is quickly becoming a political vehicle.